How are you? I am fine. I hope your boils have cleared up and that your Aunty Pat’s hysterectomy went swimmingly. I wanted to send you a quick note to say thank you for reading my blog this month. I don’t think I have ever posted quite as much or as often, and it has been a very enjoyable experience. It hasn’t always been easy, as the scheduling is relentless (one day insisting upon following another, for example), and at times I have been unsure what to write about. It has been very pleasant just to write for the sake of it though, and to be given topics rather than having to create them. I hope you have at least found it amusing, and perhaps learnt a little more about me. We are only four posts from the end now, and so I am hopeful I can complete the entire challenge. This also means that in four days time you will receive some blissful respite from the relentless blogging of the small circle of us on Twitter who are doing this. No doubt all of us writers are looking forward to a break as much as you are. I will try to continue writing after the end of the month, but I know I don’t have a very good history of doing it regularly. Do stop by from time to time if you can though. It’s nice to think someone might be reading this purely because I wrote it and that that’s enough to make them want to. Give my love to Sue. I don’t actually read all that many people’s blogs. Do people not do it so much any more? I feel like there’s less need, as you can just make little posts whenever you want on Twitter or Facebook now. So I’m just going to do this quick and dirty, because I know you all like it that way anyway. This is Chris’ blog, my other half. Almost everyone who reads this is going to know that already. He’s doing the Blog every day in May challenge too, and even though I obviously know pretty much everything about him, I’ve still learnt some things reading it that I didn’t know before. So that’s been nice. Also he works with occasionally hilarious special needs children, and that can be quite funny. Matt is my best friend what I have met via Twitter. He knows lots of interesting stuff about television and technology and is well worth a read. He helps to keep me sane when I am bored at work every day. Urban Cynic, as she is known online, is probably my only ‘blogger’ friend, in that I knew her first via her blog and only later via Twitter. I’ve really enjoyed following her life via her posts. She lives in Brighton too, and I kind of like that I may well have walked past her in the street and would never know it. This is my friend Lee’s blog, and he’s also blogging every day in May. He’s a very good friend who I don’t see often enough, and his blog helps me to keep up with his life a little bit better. He’s northern, so he likes to blog about things like trams and whippets and whippets on trams. This is the only picture blog in my list. I don’t know if I first encountered Jerry on Tumblr or on Twitter, but I have since met him in real life in New York. He posts photos of two things that are very important in my life: FOOD and PRETTY BOYS. So if either or both of those are your thing, I heartily recommend that you let him take you for a tumble. 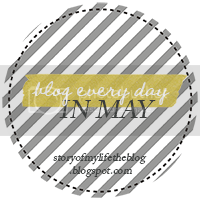 A few people I know are trying to do the ‘Blog every day in May’ challenge set by the Story of My Life blog, so I thought I’d join in. It’s only challenges like this that seem to get me blogging with any regularity, and as it includes a set of suggested topics for each day I’m hoping it won’t be too difficult to know what to write. The hardest part is going to be keeping up I think – especially as my Mum is coming to visit for three days this month, and then I’m in Spain from the 26th. I’ll just have to try to do a few posts in advance I think! I grew up in East London, and it never really suited me. It was a bit rough and I didn’t feel I really fitted in. Going to a Catholic boys school was sometimes hard, not least because I found out later I actually find it much easier to talk to girls than boys. I met Chris, my boyfriend, then partner, then husband, my life, while I was at college aged 17, and that’s when the fun part of my existence really began. Everything changed from that point. I’ve done so many things, laughed so much, found out so much about myself and who I want to be. I feel very lucky to have him and he’s made me a better person. We went to the University of Sussex together, and it was great. I studied French and Italian, and spent a year on my own living in Geneva. It was a wonderful experience, but it made me value my life back home even more and I was glad to come back. After university we stayed in Brighton and I apparently became a web developer. It turns out I’m quite good at it, and I enjoy it, but I’ve always felt I could have done more in my working life. Work has never been my priority. Chris and I got married in 2008 and bought our first home together in 2011. Today I live a happy, supported, cosy, fun little life of simple pleasures, drinking cocktails, dancing, and pulling stupid faces. I’ve really enjoyed reading these. It’s amazing what you can learn in 250 words, and what people pick out from their 20-30 years on the planet so far. Following the pointless hacking of my blog, I have taken the long-overdue decision to move this site to a new web host. I’ve been with Nativespace for quite a few years, and, to be frank, they haven’t been that good. Despite their supposed 99% uptime guarantee, they have had a LOT of problems over the last year or so. The server my site is on has generally stayed up, but it has suffered outages nonetheless, and their wobblier servers seem to have gone down for a day at a time every few weeks for what seems like forever. It happened again this week (twice, I think), and given my site got hacked as well, possibly coincidentally, I decided it was time for a complete overhaul and to start somewhere fresh. So hello new web host, and hello new theme. I hope you like it. I’m going to start trying to blog a bit more regularly again, as I’ve been pathetic at it for basically the whole of 2012. I do like writing on here, I just never seem to have anything to say. I’ve lost my voice, but I shall try to find it again. Oh and if you’re thinking about trying to hack this blog, please go and lick a plug socket instead or something. I have turned into one of those bloggers I don’t like who only updates their blog twice a month, making it a bit annoying to try to keep up to date with. It’s my own fault really; once I leave it for too long, events either don’t seem current enough to write about or they become irrelevant. But anyway, in case you care here are a few things that have happened in my life recently. Most excitingly for the geek in me, I have got a new phone to replace my Sony Ericsson C510. Yes I know I’ve only had my last phone for a year, but it’s one of the few things that I treat myself to and spend any actual money on myself on. So now I have a brand sparkling new HTC Tattoo, and so far I’m really pleased with it. 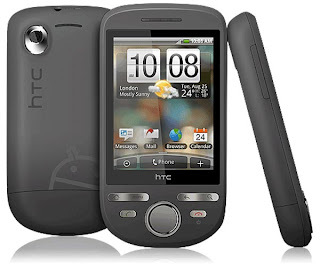 It’s my first touchscreen phone, and it has Wi Fi, which are the two things I really wanted. It seems really good, like a proper little computer in your pocket, and it’s quite pretty too. The touchscreen is a bit annoying at times, as I knew in advance from the reviews, simply because it’s on the small side and so it’s easy to jab the wrong thing with your finger. I was texting my sister-in-law this morning and nearly wished her a Harrowing Birthday because of it. I’m getting used to it though, and the general interface and software is really nice. The only thing that made my Sony Ericsson better was the awesome camera it had, that took some of the best photos I’ve ever taken. But I only really used the camera once a month or so, so I shall learn to live without it. I’ve also been ill with a cold for the last week, which is quite annoying as I’d managed to go almost six months without catching anything. I’ve been proudly telling everyone that I haven’t been ill for ages, so I suppose this is my payback for being smug. I’m hoping it will go away soon, not least because we go to New York in just ONE WEEK! It’s terribly exciting, even though I’ve been before. I was surprised to see that the temperature is in the high 60s out there at the moment, so it’s really quite warm, which would be lovely compared to the horrible greyness we’ve had here lately. I think it might turn more rainy by next week, but I’m still vaguely hoping we’ll get some early summer sun while we’re there. We’ll be there for five nights, but I’m actually off work for a whole week and a half for it, which will be lovely. I’m sure I’ll come back to a backlog of annoyances upon my return, but I’ll worry about that when it happens. Other than that, things have been more or less normal. My mother has been medium-crazy for the last little while, as opposed to her normal uber-mentalist state, so that’s been quite pleasant. I did have her on the phone for 20 minutes today though in a stress because next door is apparently having their roof done, which will undoubtedly cause lots of noise and upset her. It hasn’t caused much noise yet of course, she’s just speculating and stressing in advance, but she likes doing that. If you haven’t got anything proper to stress about, you may as well make something up – that seems to be her philosophy, and it gives her a reason to ring me up anyway. How nice for me. That’s all for now. I shall write more after the Easter weekend, which will involve a trip to see the mentalist mother and so will I’m sure provide lots more blogging material. I’ve been thinking about why I write this blog, if it’s interesting, what sort of things I should be writing about, and other things like that. I suppose I write it for the same reasons I used to write a diary – it’s quite a nice thing to do, to help you think things through, and it’s nice to be able to look back on it later. I suppose if any other people find it vaguely interesting or amusing, that’s a bonus that you don’t get with a paper diary. The second question is more complicated. Is it interesting? Hmmm, sort of. Sometimes. I think some of things I’ve written giving my opinion on things, or talking about something funny that’s happened, are sort of interesting. General narrative about “I did this, then that happened” is a bit dull though, and I must try to avoid it. Any comments (from the vague few who read this) would be appreciated. I’ve been reading about what makes a good blog, and lots of places say “write about what interests you, write what you think, keep it short and accessible”. So I suppose that’s a good place to start.